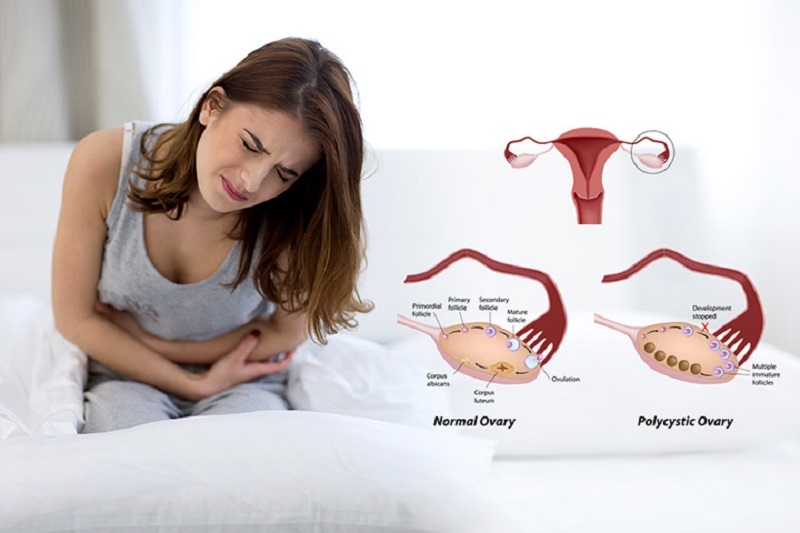 Polycystic ovary syndrome (PCOS) is a hormone-related disorder that may affect the ovaries in women of reproductive age. It is the most common cause of female infertility. In most women with PCOS, ovaries are enlarged and covered in small cysts, which can cause symptoms such as irregular menstruation, obesity, and excess hair growth. PCOS can affect girls as young as age 11. Researchers estimate as many as one in 10 to one in 20 women of reproductive age have PCOS. The cause of polycystic ovary syndrome is not fully understood. However, current research indicates excess insulin may have a lot to do with PCOS in women. High insulin levels could cause the ovaries to produce too much androgen, a male hormone that the female body also produces naturally – but in lesser amounts. A high level of androgen interferes with ovulation and may cause PCOS. Research also indicates that PCOS may be caused by genetic factors or hormone exposure in the womb. Abnormal menstruation. Delayed menstruation is one of the most common symptoms of PCOS: menstrual intervals of 35+ days, fewer than eight menstrual cycles per year, no period for four months or more. Excess androgen. Your physician may test for high levels of androgen. 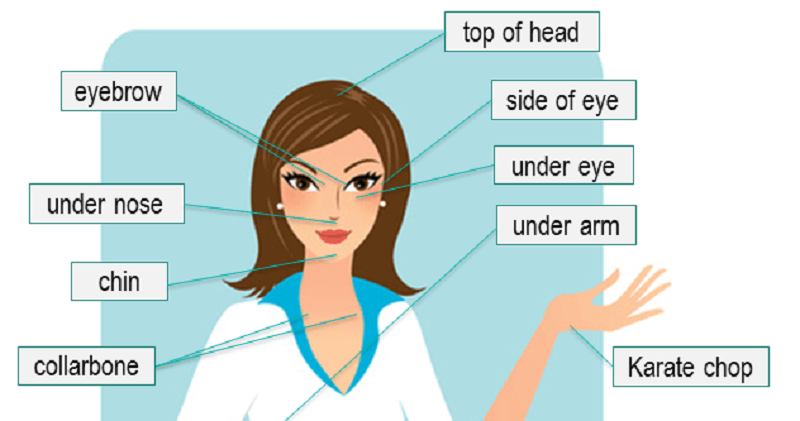 In women, excess androgen may cause hirsutism (excess facial and body hair), severe acne, and male-pattern baldness. Polycystic ovaries. An ultrasound test may be ordered to screen for cysts on the ovaries. It is possible to have ovaries that appear healthy, but also have the first two symptoms, in which case PCOS could still be diagnosed. Other symptoms include weight gain and obesity (typically in the abdomen area), skin tags, dark patches of skin, pelvic pain, sleep apnea, anxiety, and depression. Diagnosing PCOS can be difficult, as there is no single test available. A physician may perform a physical examination and ask about your medical history. Lab tests may be used to evaluate androgen hormone and glucose levels in the blood. Other diagnostic tools include the pelvic exam and transvaginal ultrasound. Polycystic ovary syndrome does not currently have a “cure.” At the present, physicians treat the individual symptoms associated with PCOS. Low-dose combination birth control pills may be used to decrease androgen production and regulate your menstrual cycle. Metformin, which lowers insulin levels, can also help regulate your menstrual cycle. In addition to regulating your menstrual cycle, your doctor may prescribe drugs to promote ovulation. Clomiphene citrate is commonly used to this end. Lastly, your physician may prescribe spironolactone to block estrogen activity in the skin, thereby reducing excessive hair growth. If you are unable to get pregnant through physician-supervised drug therapy, then your doctor may recommend laparoscopic ovarian drilling. In this minimally invasive procedure, a surgeon uses a laser to destroy follicles on the ovaries. The goal of this procedure is to induce ovulation and make pregnancy possible.